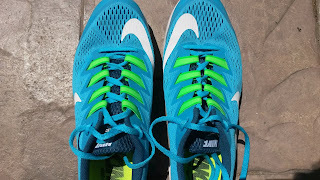 I originally purchased and reviewed the Nike Zoom Speed Rival 5 (REVIEW) with the intention of using them as a long distance racer for half marathons. When my attempts to race longer distances fell through as my schedule became increasingly busy with continuing education courses before the start of my orthopedic residency, I continued to use the Rival 5 as a workhorse for my longer workouts and tempo runs. I was continually surprised that shoe excelled during longer tempo efforts so well in the very hilly Chino Hills. What kept me back from completely loving the shoe was the somewhat stiff, narrow and oddly fitting upper along with a ride that was interrupted by an archaic midfoot plastic piece that completely separated the forefoot and heel (if you have read this blog before, a lack of full ground contact is a pet peeve of mine). So I eagerly awaited the release of the Speed Rival 6, which I have had a chance to put many miles on now. To answer your question, yes, the Rival 6 is a major evolution of the Speed Rival series. How so? Let's talk. While the essence of this shoe has been maintained, the Speed Rival 6 is completely different than previous versions. Starting with the sole, there is a mostly full ground contact midsole now with an interesting hexagonal TPU shank in the midfoot. The Streak LT esque outsole lugs are now gone, replaced by full length and thicker lugs that have been much more durable and even grip well on light trails. The heel drop is listed as 10mm (per Running Warehouse) but feels lower than the Rival 5. This may be due to the additional of a heel bevel, which along with the full ground contact improves the smoothness and transition of the Rival 6 by an incredible amount. The rigid heel of the previous version could be a bit harsh and that issue has been almost completely resolved. 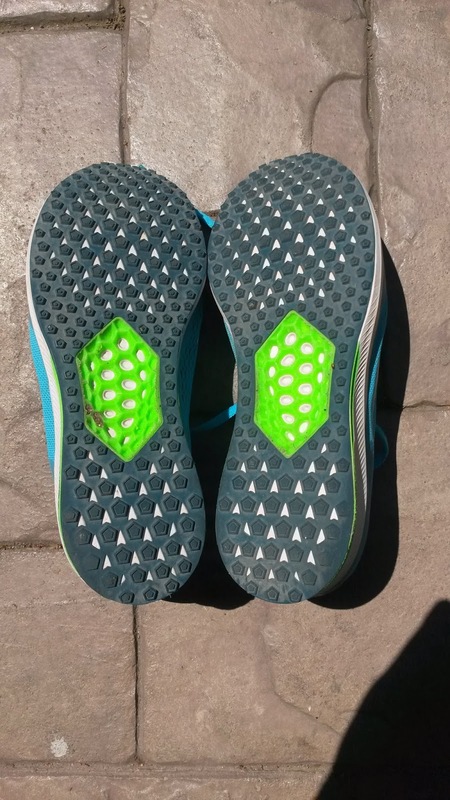 The new hexagonal midfoot shank does not feel intrusive at all and does give the shoe a little extra pop when you pick up the pace (if you land farther posterior). The pattern is a similar design to that of the spike plates in the Nike Zoom Victory 3. The lack of obstrusiveness is likely due to the fact that there is contacting outsole on both sides of this, rather than having an empty space for the shoe to collapse into like the previous version. There is still a Zoom Air unit in the heel, which keeps this shoe responsive and protective over longer distances. The sole is on the firmer side but has enough protection that I have used this shoe as a lightweight trainer and workout shoe. The Speed Rival 6 feels like it has lost some weight as it now is listed (and feels) at 7.0 oz (men's size 9). Although I did not weight them, the Speed Rival 5 felt closer to 8 ounces. The upper has been improved quite a bit. The Speed Rival 5 had a fairly stiff upper and an even stiffer and uncomfortable toe guard. The Speed Rival 6 has improved upper flexibility and breathability overall. The mesh is lighter, stretches better and the toe guard is less stiff. Fit wise the shoe is wider overall before tightening down the laces. The midfoot especially is much wider upon initial step in which requires tightening down the laces. 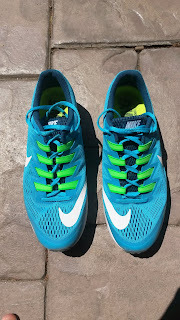 There are midfoot straps in place of Nike's usual Flywire, which do a decent job once the laces are tied down. The forefoot is better than the previous version, but still feels narrow and tapered due to the difference in width compared to the midfoot and the presence of the still somewhat stiff toe guard that runs farther back than it should in my opinion. Just as a warning for those with very narrow midfoot areas, you will either have to cinch down the laces a great deal or lace lock the shoe. There is a mild heel counter that is somewhat flexible, so I for those with haglund deformities, I would not worry too much. 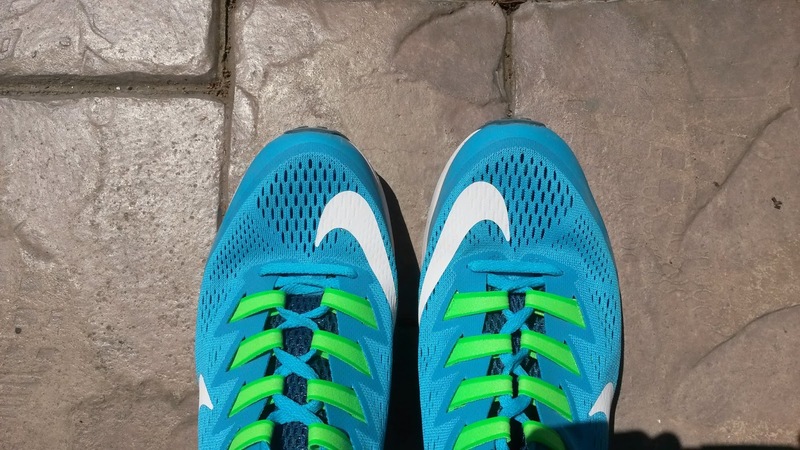 Unlike the midfoot, the heel fits on the medium to narrow side. The addition (finally) of a final lace loop in the Zoom Speed Rival 6 means that you can now lace lock the shoe, which does help with the extra midfoot width. The lack of that last lace loop was a major annoyance of mine with the Speed Rival 5. My only real issue with this shoe is the quick taper along the toes. I have discussed this previously, but a quick taper, especially over the first toe can push this digit too far into the transverse plane laterally. When you push a joint too far in one plane of motion, it limits the others. In many cases, excessive transvere plane translation of the 1st toe can be a compensation for a lack of motion in other planes. Commonly when I see this pathology, ie Hallux Valgus or eventually a bunion, I immediately suspect that the individual lacks dorsiflexion of the first toe (which you need at least 60 degrees of at the first MTP for normal WALKING gait. A little more in running). When the first toe dives laterally in the transverse plane, it can be a compensation for lack of motion in the sagittal plane (front to back). So instead of rolling over the toes, which is the optimal movement because it allows proper power transfer from the calf muscles, people will roll off the inside of the 1st MTP joint to avoid having to go over the first toe (which again may be stiff and moving poorly into dorsiflexion). That excessive pressure on the medial side of the joint is what predisposes people to bunions as the bone thickens and grows due to the abnormal stress placed upon there. Any time you see excessive bone growth, whether it be at the achilles insertion (Haglund Deformity or Sever's Disease), the patellar tendon/ligament attachment in youth (Osgood-Schlatter's) or even hooked acromions in the shoulder, it tells me there are abnormal or excessive forces that are being applied there. The solution? Modify the forces and promote optimal movement before the bony growth becomes large enough to permanently impair movement and potentially surgery. So in this case, make sure the first MTP joint has enough mobility in the sagittal plane (at least 60 degrees of dorsiflexion) and has the proper muscular strength from the Peroneus Longus to stabilize it. Secondly make sure your shoes are not so tapered in the forefoot that the first toe is being smashed lateral because that can also contribute to this. Dress shoes tend to be worse than running shoes, which have improved extensively in this area the last few years. 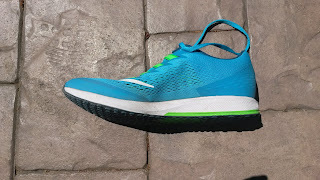 n the case of the Speed Rival 6, the is enough room along the MTP joints for those with normal to narrow feet considering this is supposed to be a racer. My issue stems again from the quick taper along the toes. I just find this taper in the forefoot in the Zoom Speed Rival 6 odd given how square shaped Nike's other US racing flats and spikes have been recently (Streak 6, LT3, Victory 3, Matumbo 3, etc). 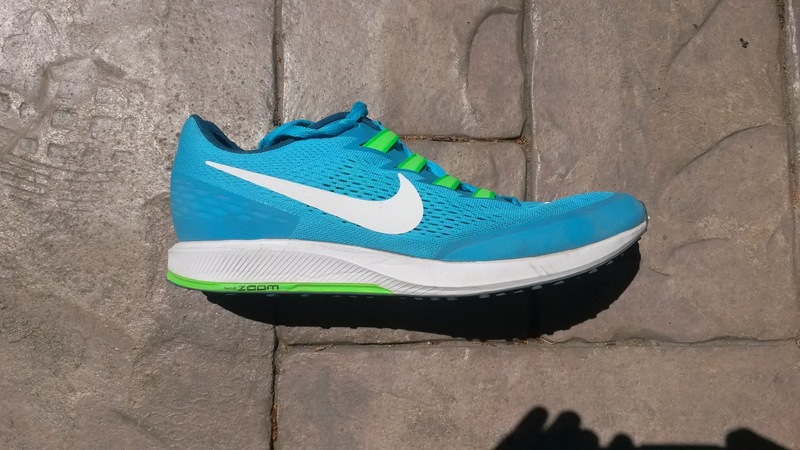 I understand this is still a Nike Japan Racing shoe, but hopefully that changes in version 7. The Speed Rival 6 will work very well as a long distance racing shoe for many. 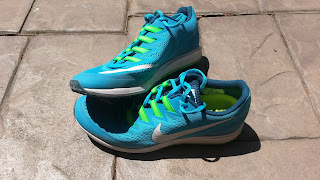 I have utilized them for long runs, tempo runs and even faster workouts which have all gone well. The Speed Rival 6 has been a very versatile shoe that has been able to handle both mileage and speed. This is not a shoe I would use for 5k-10k but definitely would be my first choice for a half to a full marathon. For those used to lighter shoes, this could also work well as a fantastic lightweight trainer given the durability and protection given. The Nike Zoom Speed Rival 6 is a massive improvement in every aspect over version 5. 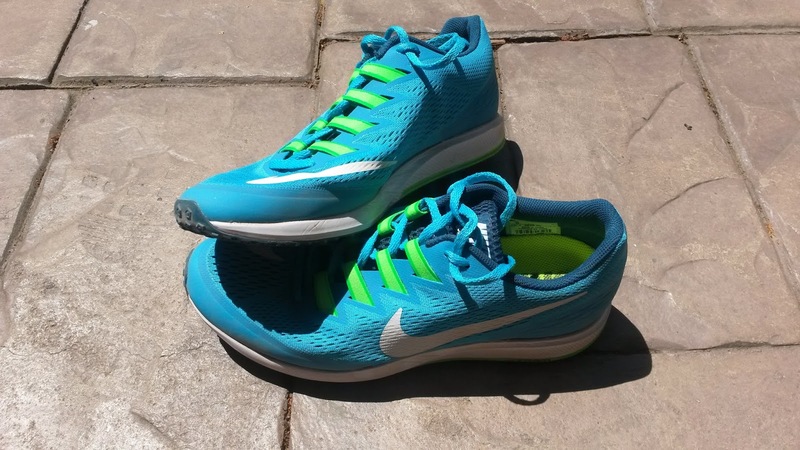 The sole rides much smoother, the upper fits better and the shoe feels like it has lost a little weight. This shoe has been fantastic for both long runs and tempo runs for me and will my first choice if I finally commit to another half marathon. For those interesting in trying one of the interesting Nike Japan Racing shoes, the Speed Rival 6 is now available on Running Warehouse. ***Disclaimer: These shoes were purchased for their full retail price on Global Rakuten before they appeared on Running Warehouse. 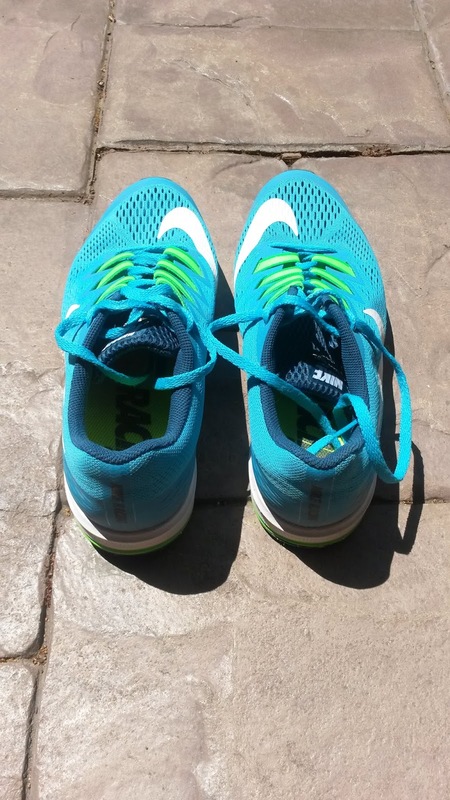 I put at least 75 miles on trainers and 25 miles on racing flats. Currently I have 37 miles on my pair.